Fungal Disease Awareness Week was October 1–5, 2018 in the United States of America. 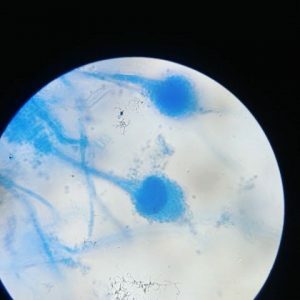 CDC and partners organized this week to highlight the importance of recognizing serious fungal diseases early enough in the course of a patient’s illness to provide life-saving treatment. Some fungal diseases go undiagnosed and cause serious infections in people around the world, leading to illness and death. Increased awareness about fungal diseases is one of the most important ways to improve early recognition and reduce delays in diagnosis and treatment. A key clue to when a sick person may have a fungal infection is that he or she is being treated with medications for other types of infection but does not get better. I think we need to observe a week of awareness in Nigeria too. Candidaemia is not being detected in our hospitals. A key study conducted in three tuberculosis treatment sites showed that 8.7% of people thought to have TB treatment failure and smear negative TB actually had chronic pulmonary aspergillosis. The death toll from fungal diseases will remain high and undetected until doctors learn to think fungus. In turn, this awareness will only be maintained and reinforced when we get better diagnostic facilities in place.